I just want to take a quick minute to thank you for doing the podcast. My friends and I enjoy discussing the sermons after listening and I thoroughly enjoy them driving to and from work each day instead of listening to the radio. Listen to the Spirit and understanding that God has a plan for me is not easy, but this podcast sure helps. God bless, friends. I’m beyond grateful for Life.church providing these amazing messages in podcast format! I’m in a spot in my life, that I question so much if good will ever come , understanding I have to also work at being positive .. everything keeps setting us back ( feels) no matter how hard I try? My faith has even been shaken due to all the negativity that keeps pouring in . I’m so thankful that I was introduced to ur podcast from a co-worker that didn’t have to reach out but could see the struggle my husband & myself are facing. So thankful to hear relatable life situations & uplifting sermons! I loved this sermon. I believe it is something many people need to hear. A lot of people do suffer from being trapped by a lie and I think that the example given in the sermon was so truthful and hits home for people as in sometimes we don’t even try and get past the lie we just accept it. Craig is passionate about the Lord, and this comes through in all he does. So much wisdom in this podcast. I’m listening to the Hope in the Dark series of sermons. They are raw and hard, yet so full of hope and love for the Lord. I laughed, cried, laughed again, then cried again and ended feeling closer to God, stronger in my faith, and determined to “wrestle” when tempted to give up. Thank you Craig for your words! I look to Craig as a mentor. He is definitely anointed as a speaker, teacher, pastor. This podcast has massive value of your wanting to live your Christian life to the fullest. Should check out his leadership podcast as well. So much value. Thank you Craig! Edit: I have changed my mind. My wife and I are missionaries here in Prague, CZ. It is a very spiritually dark place. This podcast is such a huge blessing to us to keep persevering for the cause of Christ. Thank you for this podcast. Love every weeks’ message!!! Pastor Craig is an amazing leader and pastor!! Great communicator of the Word!!! I am great full to life church for providing this podcast. I love hearing the messages. These podcasts give me resources, ideas, and reflective questions to help me grow as a leader. Everyone is a leader somewhere ... Listen to these podcasts and grow in your leadership! Pastor Craig preaches great messages that are very insightful and very practical and helpful. Love his sermons! Highly recommend!! This podcast is amazing. Pastor Craig delivers honest, transparent,no-nonsense messages. He brings up topics and examples that I have never heard from other messages. He shines the light of Jesus in those areas that most won't even touch. His delivery is super enthusiastic and full of love for God that you can't help but dig in deeper in your relationship with Jesus. His special gifts of leadership teaching and discipline have really helped me in different areas of my life. "Whoever finds God, finds life", is not just a saying it's the transformation that takes place through this ministry. What God is doing through Life church is truly life and world changing. I thank God for this ministry and to Pastor Craig and the sacrifice he and his family have made. I'm forever grateful to Life. My family and generations to come will be different because of Gods work through Life. The messages are incredible every single week. Although I have the privilege to attend live services every week, I often listen to the messages again and sveb years down the road. Pastor Craig has an incredible gift of communication and uses it for Gods glory. Thank you Life Church!!! Sermons are timely and timeless. Craig is able to bring God's truth and bridge the gap from then to now. Incredible speaker. Incredible messages. Will change your life. Good messages. Real answers for life. Pastor Craig always presents the Bible in a way that is easy to understand and relates it to our current lives. The one thing that I appreciate is how Pastor Craig always relates how he struggles with living out Christ’s teaching and he is very transparent (real). You will completely understand how to apply God’s word to your life if you listen to these podcasts! I love how short the podcasts are but how they are impactful, resourceful and practical. After listening I find that it leaves me empowered, equipped and ready to put it into action. LOVE! Really enjoyed this podcast until they stopped updating it a few weeks ago. Intentional and purpose-driven. Pastor Craig as well as the associate pastors from Lifechurch.tv present biblical truths from scripture in relevant and coherent ways. I gain so much practical biblical spiritual knowledge from this podcast…my only complaint is: I need more of them! Only 21 so far…just hoping another one is published soon!! Craig Does a masterful job of relaying God's plan for our lives and how we need to honor him. If you haven't done so, read his books. I have read the Christian Atheist and Soul Detox which were excellent! So blessed by these series! These podcasts keep me goin & my adhd focused while working :) "from this day forward" is by far the best teaching series I've seen for marriages my wife & I are in GA and also did the devoionals evey day! Thanks media team for all your hard work and always keeping these updated! Check it out now, what are ya waiting for? I clean houses during the week, sometimes 6hrs straight. Listened so much that I completed his entire podcast database! honestly, never get sick of hearing him preach! Eventually I had to branch out to others, because I podcast so much. But groeschel is among my top 5. Check out the Village Church if you too need to branch out on podcasts. I also recently found the gospel coalition podcast which has a million teachers to listen to like mark Driscoll, Tim Keller & so many more that I'm finding I love. Pastor Craig has a way with words and makes any sinner feel accepted by Christ. He has a lot of the same experiences most guys have and isn't ashamed to admit it. This makes his sermons real, to-the-point, and such a blessing to take in! I've gone to church all my life and I think if my mom could have given birth in a church she would have! But during the last several years my husband and I got really discouraged and stagnant. We ended up not going anywhere for almost 4 months around the time our son was born because it was easier just to stay home when you are big pregnant or nursing every two hours. During one of his numerous midnight feedings I brought up a sermon online and eventually devoured all available messages over the last several weeks. What an amazing blessing it has been, it has reignited my love for God and desire to be a part of a church again. Thank you for freely sharing your sermons because the ripple effect is far reaching! Very good sermon's! Love this church and I love that if I can't make it I can listen to these in my phone! 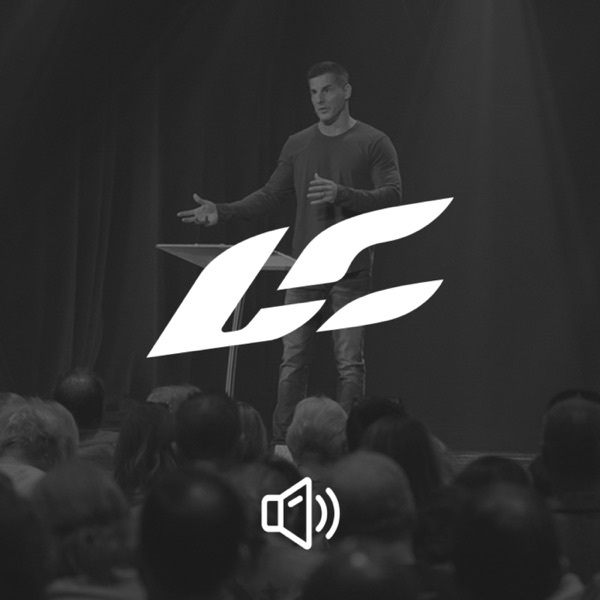 Nothing gets me more fired up for living life as God would have me than listening to Pastor Craig Groeschel. Timely, relevant, and biblically based teaching that is accessible to all. He doesn't pull punches; he will call you out, but won't leave you feeling hopeless in your conviction. He will expose your flaws, but he will leave you convinced that Jesus Christ is Almighty, and His Grace is for YOU! God use this podcasts amazingly !!!!!! he glorify him self with this way of bless for me and for the people I tell about it!!!!! thanks pastor Craig and the excellent team for put it available!!!!!!! I go to a church but love a good sermon durying the week. This is good use of scripture and well put together. I highly recommend it. Lifechurch is great!!!! God is good! Craig is the best pastor I have ever heard. He is relevant, encouraging, compassionate, and speaks the truth with love. Your messages have helped me in so many ways. Thank you for being real and speaking about things that so many churches are failing to deliver. I've never been given so much responsibility and freedom for my walk with Christ from any church, all in a loving and supportive environment. Lifechurch's teach and leadership reflect the true gospel not religion. Greg has truly been gifted with the ability to preach the gospel in an informal, casual, and powerful way. This podcast is a great encouragement to me. Thanks, and keep up the good work!